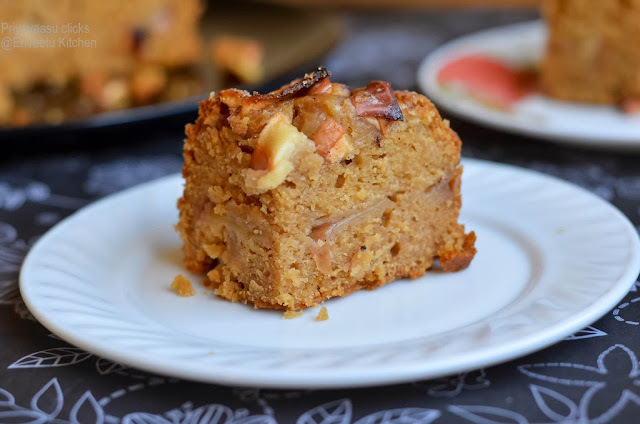 I love the smell of apples and cinnamon baking in the oven, it makes the whole house feel like heaven. 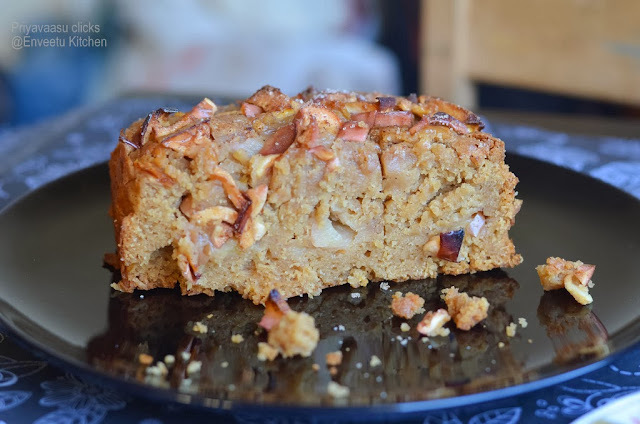 When Priya Ranjit, suggested Jewish Apple cake as part of December Home Baker's Challenge, i made my mind to make it definitely. It was a egg-based recipe, so i substituted the eggs with yogurt. The cake took almost 90 minutes to bake. I was a bit tensed to see the top still wiggly after an hour of baking, then trusted my instinct and baked it for another 20 minutes. Since it was almost 1 pm in the night, i just removed it to the wire rack, covered it loosely with a colander basket and went to bed. Today morning when i entered the kitchen, it smelt heaven again. Praying to god, took the knife and sliced the cake, thank god, it sliced well. It tasted good, and can be had for breakfast, 3 slices already vanished here!!! May be next time i will try it in my mini bundt pan. Preheat oven to 350F/170C. Grease and line the baking pan with parchment, i used by (7X6) almost square pan, but the original recipe suggests using a tube pan/bundt pan. Combine the ground cinnamon and sugar together and set aside. Wash and cut the apples into thin slices. I didn't peel the apples, if you want to then peel first and then slice. In a large mixing bowl, Sift both the flours, salt, baking powder together.In another bowl, take yogurt/curd, mix in the sugar, orange juice, vanilla extract. Finally add the oil and stir gently. Now slowly add flour-mix little by little and stir to combine. Pour 1/2 of the batter into the prepared pan. Top with 1/2 of the sliced apples and sprinkle with 1/2 of the cinnamon sugar mixture. Pour the remaining batter over the top and layer the remaining sliced apples and cinnamon sugar. Bake in a preheated oven for 70-90 minutes. My cake took 90 minutes to bake, To check the done-ness insert a toothpick in the center of the cake, when it comes out clean, then the cake is done. Once done, let it sit in the hot oven for 5 minutes. Take it out, let it cool in the pan for 5 minutes, then slowly remove it to the wire rack, let it cool completely there. Slice and Serve. I baked the cake late night, so left it on the wire rack, covered loosely with a wicker basket. Morning, the whole kitchen was smelling cinnamon and apples. It was such a pleasure to cut the cake and see the crumbs. My people had 3 slices for breakfast along with their coffee. Sending this to, Holiday Baking - happening @ Ammaji's Recipes, Lets cook christmas party food, happening @ Simply Food, Favorite recipes - Christmas recipes, happening @ zesty south indian kitchen, Christmas and newyear giveaway happening @ Nupur's UK-Rasoi, Kids Delight - Cooking with Whole grains, happening @ My Cooking Journey, Event by +Srivalli Jetti . I m drafting this post for the past 3 days. yes, will start typing and immediately one of the boys will come calling my name. Both the kiddo's and daddo are at home. Daddo is sick with some eye-infection and to top it all elder one's vacation. So, i m running all around like a headless chicken!!! Phew, Whoever said being @ home is easy, i welcome them to come and stay @ my place for a day and get a taste of it!! 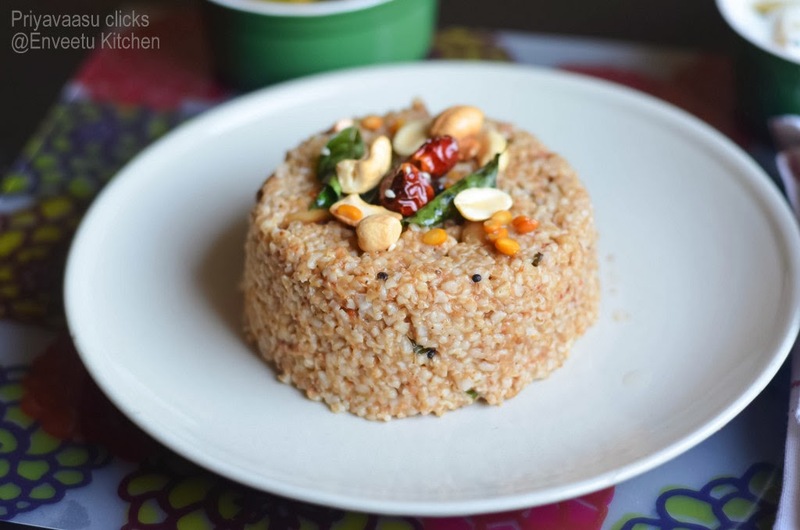 Coming to the recipe, it is inspired from Chandra Padmanabhan's Simply South cookbook. The Original recipe used Lapsi or Broken wheat, but i have made this with Bulgur/Burghol. The puliyodharai was so yum and hubby dear couldn't make it out that it is not rice. A very healthy alternative for rice. I served this with some potato raita and capsicum-carrot subzi, an wholesome meal. Wash Burghol/Bulgur well and pressure cook it with enough water for 2 whistles. Keep aside until use. Soak tamarind in warm water and extract about 1.5cups of tamarind extract, discard the pulp. Roast all ingredients given under Roast n grind together, until golden and aromatic, grind it to a fine powder. Heat oil in a pan, fry cashewnuts until golden brown, drain and set aside. In the same pan, heat oil for tempering, splutter mustard seeds, add gram dal and peanuts. When they turn golden brown, add tamarind extract, ground spice powder and salt to it. Let it cook in a medium flame, until all of the water evaporates, and it turns into a jam-like consistency. Remove from stove. Add cooked bulgur/burghol to and mix well. Serve Hot with any spicy curry or raita. i served it along Capsicum-Carrot subzi and potato raita. 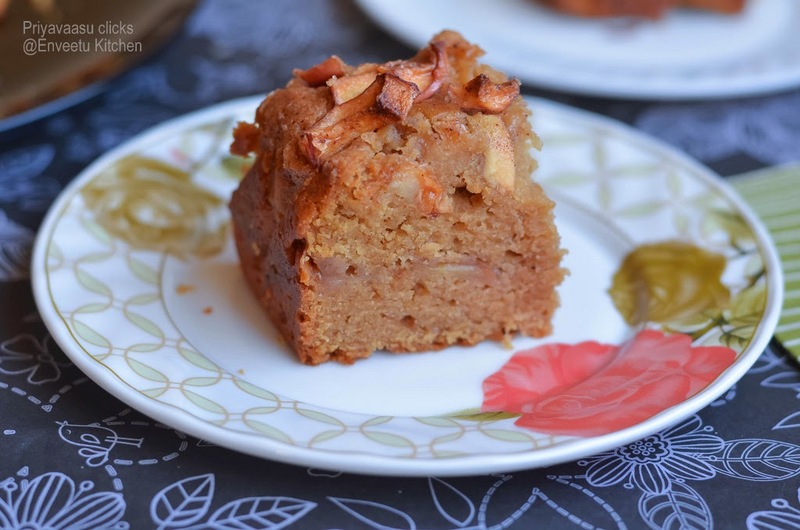 This goes to CCChallenge, hosted by +Srivalli Jetti @Cooking4allseaons. Actually i made some Spiced date bars for today's post, but wasn't able to get a good picture of that. i don't know for the past 2/3 weeks, i m taking proper pictures. I m not able to create the scene needed for the click in my mind, so nothing comes in action!!!! So, these bread rolls too are not so great, but have managed something. Hopefully i get my creative juice back again!!! 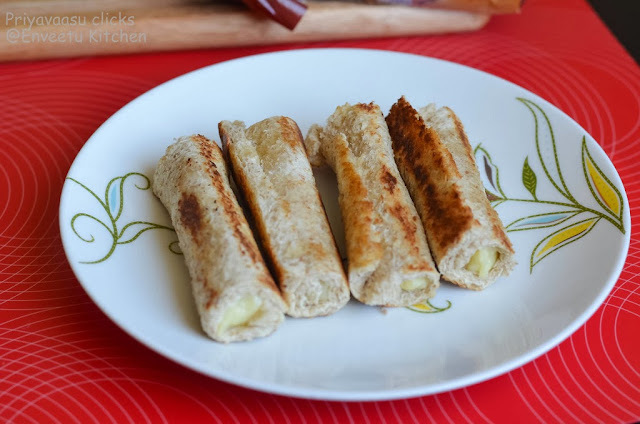 Coming to the recipe, last week saw a post on Creative food hacks in FB, these cheese rolls recipe was one among them, tried immediately and it was a hit. If your kiddo loves cheese, then go ahead and make him/her these quick cheese rolls and sure you will be awarded with extra hugs and kisses that day!!!! I have used Wholemeal bread here, you can use white/brown bread too. Cut the corners of the bread. 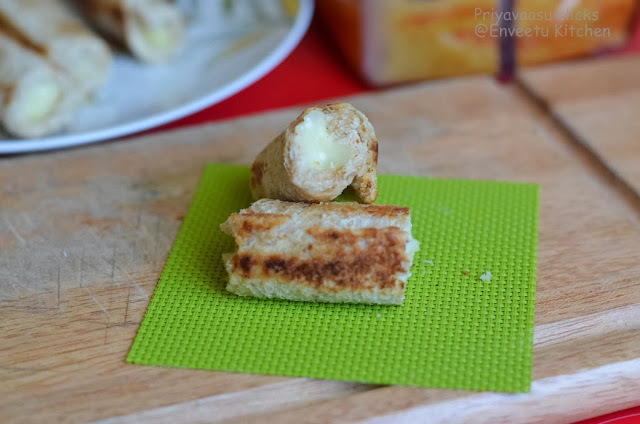 Using a roller, roll the bread into thin slices,if using cheese slice, just place the slice on the bread, sprinkle little pepper powder/red chili powder, roll it tight and seal the edges using little water. I didn't have cheese slices @ hand so , i used 2 tsp of shredded cheese instead. Heat a pan, add a blob of butter and place the rolls with the sealed side down. Turn and cook until brown and crisp on the sides. Serve it Warm. 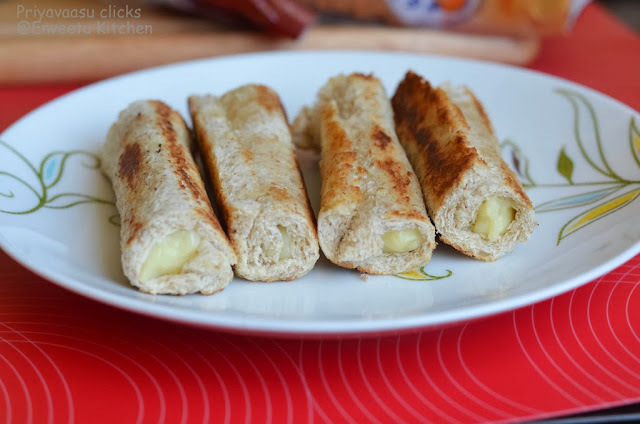 I have used very little fat and toasted the rolls, if you are not that calorie conscious, you can even shallow fry these rolls for an extra taste and crisp!!! 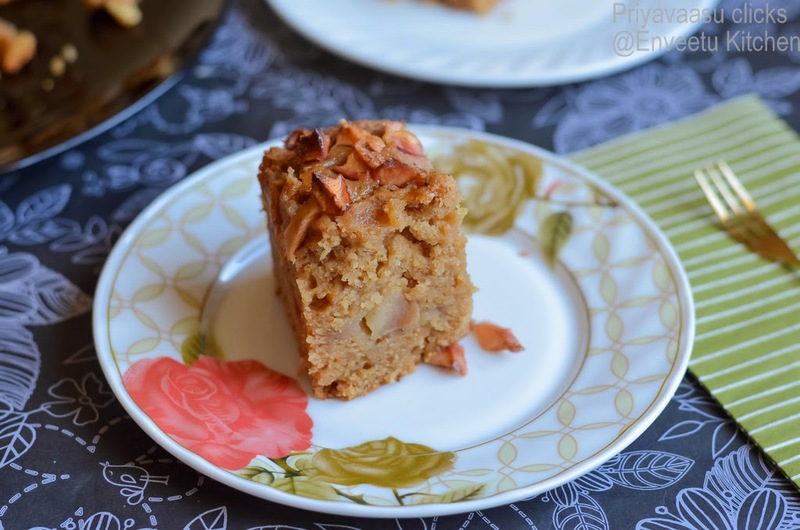 Home Baker's Challenge for December was hosted by Priya Ranjit of Cook Like Priya. She suggested some delicious cookies, cakes and breads. I chose to bake the snowman cookies and Sugar cookies. But the snowman cookies vanished even before i could save some for clicks. Since it is Christmas i thought i will bake something chocolate-y to up the spirits of the season. So instead of regular sugar cookies, i baked chocolate sugar cookies. They came out super good and i gifted a dozen to my wonderful maid, without whom my day will be a real mess!!!! Merry Christmas to all my readers. May God Bless you all with Good health and greater prosperity!!!! In a bowl sift together the flour,cocoa, salt and baking powder. In another bowl, cream together butter and sugar until fluffy.To this add Flaxseed meal soaked water, blend well to combine. Now add flour mix little by little and combine using a spatula to form a smooth dough.Wrap dough in plastic wrap and refrigerate for at least an hour. Preheat oven to 180C. Divide the dough into equal-sized balls and place it on a cookie sheet, flatten it using a fork, make markings using the fork on top of the cookie. You can also divide the dough in 4 pieces and roll out each piece at a time so that it's about 1/4 of an inch in thickness, cut cookies with your favorite cookie cutter. 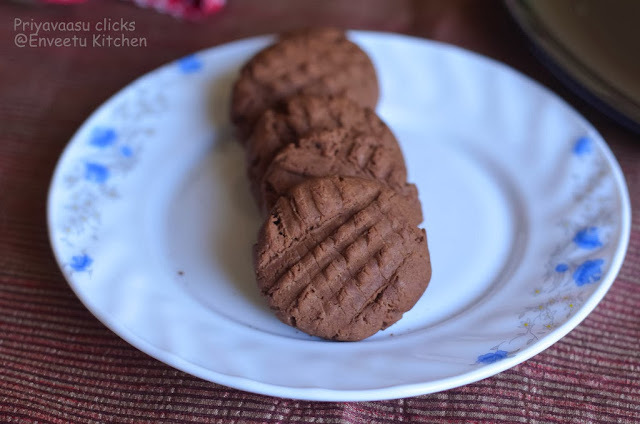 I used my Stainless Steel plate, covered with aluminium foil for baking these cookies. Place cookies on an ungreased baking sheet and bake for about 13 to 15 minutes, just until the edges are firm and the center still slightly soft. Repeat with remaining dough. Transfer to a wire rack and cool. Let it cool completely and store it in an air-tight container or pack them into cute boxes and gift them to your friends. I actually packed a dozen to my maid, as a Christmas Gift. Ginger based bake was in my to-do list for a long time. This time of the year, foodie blogs brim with aromatic bakes, boozy plum cakes, crunchy cookies and not to forget the cute gingerbread man, gingerbread houses!!! ohh, i so want to make a gingerbread house!! !But with bala running around, i m happy and thankful i m able to whatever small bakes i m doing. 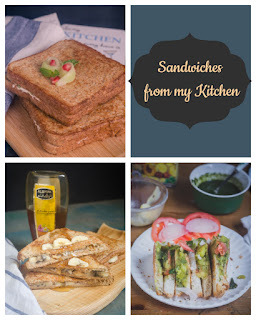 This Blogging Marathon, i will be posting recipes which i have bookmarked and planned to do sometime. If i plan to post bookmarked recipes alone everyday , it will take an year to complete atelast half the list. I have managed to pick some and do for this BM. 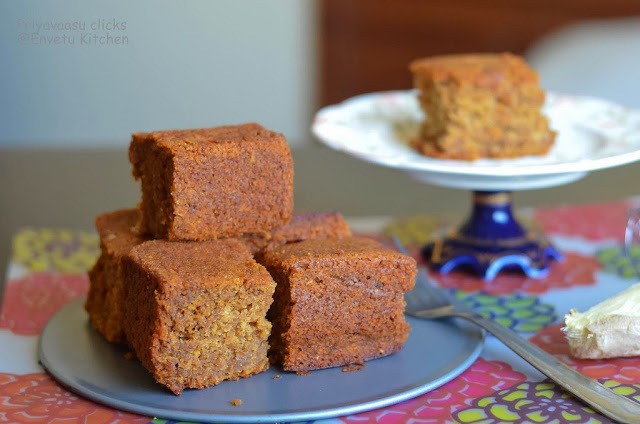 First comes my favorite Ginger cake. 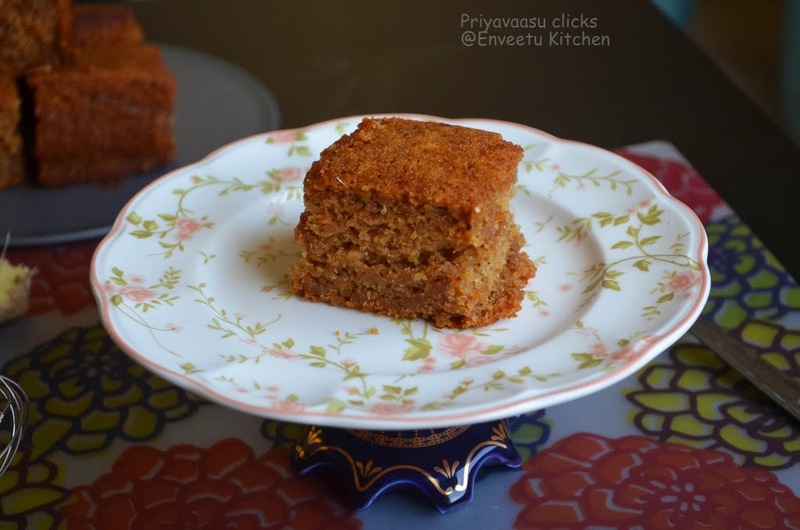 Last month Preeti of Indian Kitchen, posted this yummy Honey cake, i immediately tried it, with little modification. 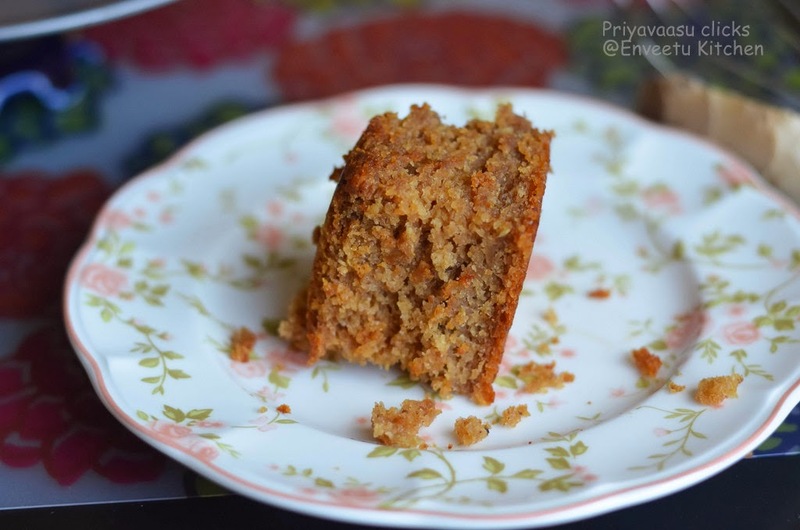 I added fresh ginger and some spices and made this delicious spiced cake. 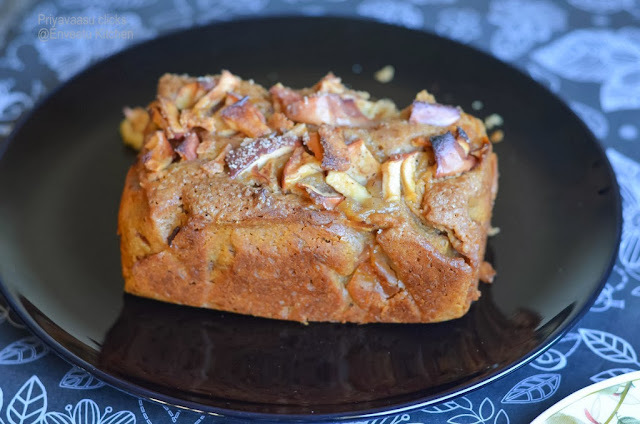 One bite into the cake,you will feel the warmth of the spices. Perfect Bake for a Winter Evening. Combine milk and honey in a mixing bowl and beat it till smooth using hand blender or whisk. Add oil and freshly shredded ginger to it. Mix everything well and keep aside. Sieve maida, baking powder and baking soda along with cinnamon, all spice and clove powder. Combine in a mixing bowl. Add this mixture to the wet mixture and mix well. Preheat oven to 180 degrees C. Take a greased loaf pan/cake pan.I used my (7X6)" almost square pan for baking this cake. Fill it with cake batter. Keep the pan in oven and bake at 180 degrees C for 40 minutes. Check the cake by inserting a toothpick at the center. It should come out clean. Remove pan from the oven. Let it rest for 2 mins. Transfer the cake carefully to the cooling rack and let it cool down completely. Slice the cake and serve. Kheer/Payasam is the easiest dish that can be prepared using a pressure cooker. So, for the final day of the BM i m here with a colorful payasam/kheer using beetroot. Beetroot takes a little more time to cook, so making this in pressure cooker makes it much easier. Beets gives an awesome color to this kheer. A Mild Peachy or pinky color makes it a treat to your eyes too. Kuttu loved this kheer, that is more rewarding to me!!! yes, he doesn't prefer anything pink, immediately will ask "Pink is for girls?, Can you make something in Blue? ". That Guy, saw me clicking pics and came near and asked whether he can taste, tried it and had one shot-glass full of kheer and said will have one more with his appa after dinner. It was like hearing Symphony Orchestra playing especially for me!!!! In a pressure cooker, add ghee, when it becomes hot, add the shredded beets to it along with cashew nuts and saute for 3-5 minutes in a medium flame. Next add milk to it, mix well and close the lid of thw cooker, put the whistle on. Let it cook for 4 whistles in a medium flame. Let it cool and the pressure release on its own. Open tbe lid, using a hand blender blend the cooed beets with milk to a smooth liquid. 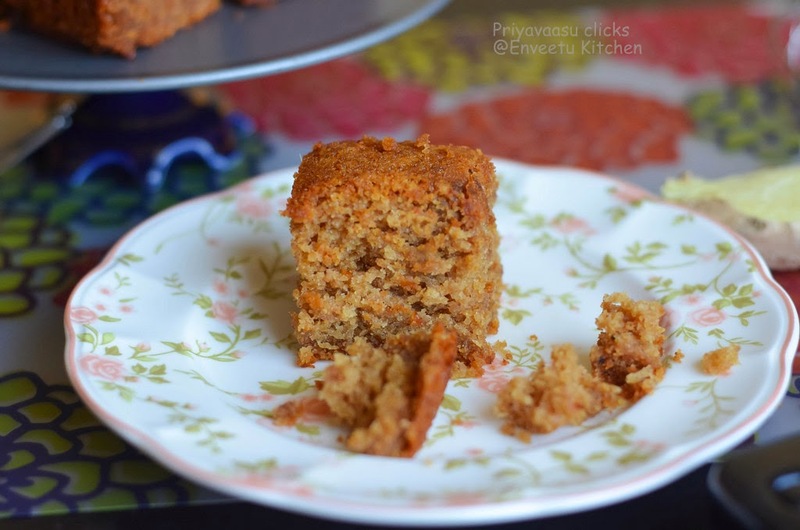 Take it back to the stove, add condensed milk or sugar and cardamom powder, mix well. Let it sit on the stove until it becomes frothy, takes about 5 - 8 minutes in a medium flame. Stir constantly during that time and scrape down the sides too. Garnish with almond silvers and serve warm. Today is Aarudra Darisanam, a shaivite festival celebrated on the full moon day on the tamizh month of margazhi(December-January),also considered the longest night of the year. Aarudra or Thiruvadirai is the star of Lord shiva and this Margazhi Thriuvadirai is specially celebrated as Aarudra Darisanam. When i was googling for the significance of Aarudra, all the storied pointed towards the cosmic dance of Lord Shiva in his Nataraja form. Arudhra signifies the golden red flame and Shiva performs the dance in the form this red-flamed light.This cosmic dance takes place in every particle and is the source of all energy. Arudra Darshan celebrates this ecstatic dance of Lord Shiva. This festival is mainly observed in the Tamil speaking world.Since it is the Star of Lord Shiva, this day is considered to be his Happy Birthday!!!! So, here is the traditional offering from a Tamil home to Lord Shiva!!! In a pressure cooker, dry roast the rice until it turns reddish brown. Take care not to burn, keep the flame low and roast it. Take it off the flame. Let it cool. In the same cooker, dry roast the moong dal also to golden brown. Let it cool. Take both rice and dal in a mixer and grind it little coarse powder. 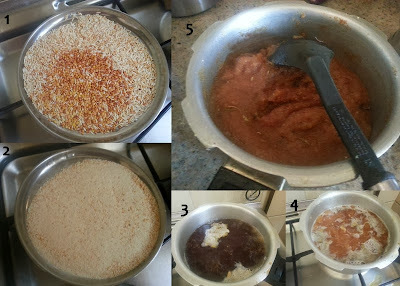 In the cooker, add the grated jaggery and 2.5 cups of water, let it boil and jaggery melt. Take it off the flame and strain for impurities. Take the strained jaggery syrup back to stove in the cooker, when measured it was 2 cups, now add another 1 cup of water and crushed cardamom to this. When the mixture starts boiling, add the coarsely ground rice-dal mixture, mix well. Add a tbsp of ghee to this, mix well. Close the cooker, put the whistle on. Pressure cook in a medium flame for 3 whistles. Let the pressure release on it own. Remove the whistle and mix well, garnish with roasted cashew-nuts. Wash and chop all the veggies to Cubes, and soak them in water until use. All the veggies should be of the size to ease even cooking. Soak tamarind in warm water and extract around 2 cups of tamarind extract. If using dried beans,soak them overnight. I always have pre-soaked beans in my freezer all the time, so i used them while cooking. In case you are using fresh beans, you can use it straight, without soaking. Roast all the ingredients given under Roast and grind one by one and grind it with 1/4 cup water to a fine paste. In a Pressure pan, heat oil given under "Tempering", splutter mustard seeds, add methi/fenugreek seeds, add hing, turmeric, red chilies and saute for 2 minutes. Drain the veggies and add it to the pan, saute well for 2-3 minutes. next add the tamarind extract, toor dal, ground paste and 1 cup water. add salt, mix well. When the mixture starts boiling, close the lid, put the whistle on, pressure cook in a medium flame, for 2-3 whistles. i cooked for 3 whistles. Take it of the flame, let the pressure release on its own, remove the lid of the pressure pan, mix well with a laddle, check the consistency shouldn't be watery, if yes, then boil for some more time. Mine was perfect, just add fresh coriander leaves. Serve it along with Thiruvadirai Kali!!! Pressure cookers are blessings that come in various size and shapes, and is available in every Indian house-hold!!! I have 3 pressure cookers with me now, the smallest one is 3 litres, which comes super handy everyday morning to make dal/sambhar for kuttu. They cook like magic in 15 minutes!!! oh yes, i guarantee for that. 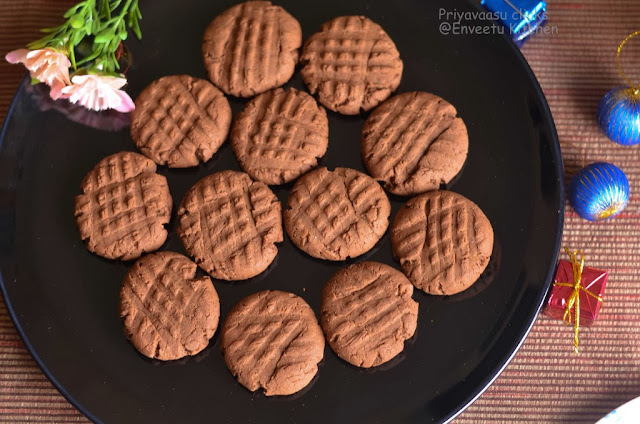 So, when valli announced cooking with pressure cooker as a theme for Blogging Marathon#35, i immediately chose the theme, as i use these small wonders of the kitchen everyday!!! Amma has 2 cute pressure cooker with her, the new prestige handi too!!! i just envy the sleek and cute shape of that handi!!! 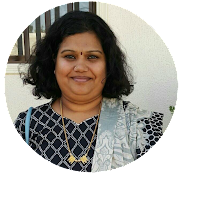 Amma always makes sambar/kootu in her pressure cooker only. 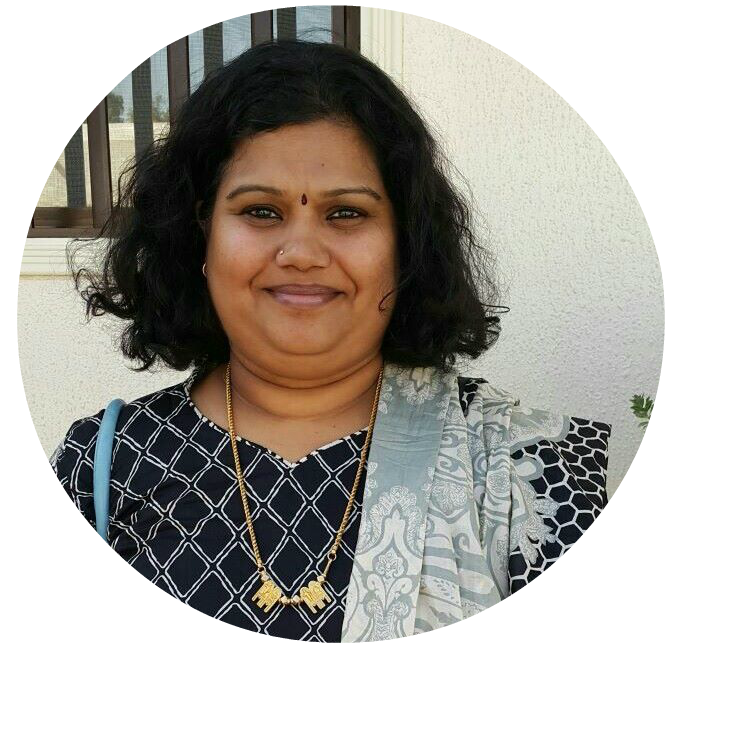 iMany times,i have teased her, saying she almost forgot how to keep sambar otherwise, until i found myself in a situation where i need to make and pack sambhar everyday in 15 minutes straight, juggling with other kitchen work in-between. Yes,kuttu prefers sambhar with everything idly, dosa, upma, even poori!!!! 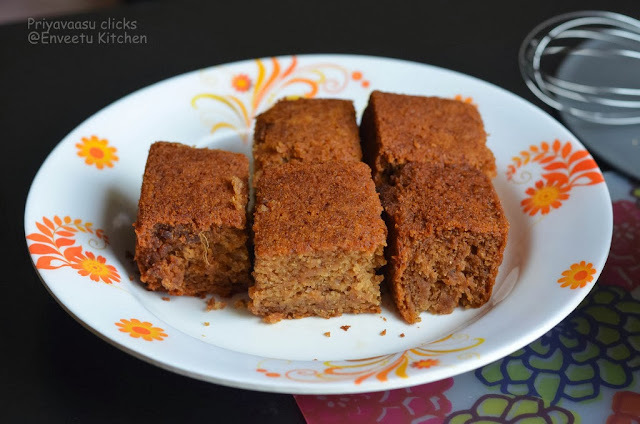 This is a fail-proof recipe which i use to make him happy when he opens his dabba for breakfast!!! Wash the carrots well, chop them into cubes. Cut the tomatoes into cubes. Extract tamarind juice, it should be about 3 cups. Heat oil the pressure cooker, splutter mustard seeds, add fenugreek seeds, hing, turmeric and curry leaves, saute for a minute. Next add chopped carrots, tomatoes and saute until the tomatoes become mushy. Add tamarind extract to this, followed by sambhar powder, tuvar dal and salt. Add grated coconut and another cup of water, Mix well. When the mixture starts to boil, close the cooker, put the whistle on. Pressure cook in a medium flame for 5-6 whistles or until done. My Cooker needs 6 whistles in a medium flame for the dal to cook. Once the pressure falls, open the cooker, Mix well and mash the dal well with the back of a laddle. Check the consistency of the sambhar. I usually add 1/2 Cup - 3/4th Cup of Warm water to it. Garnish with coriander leaves. 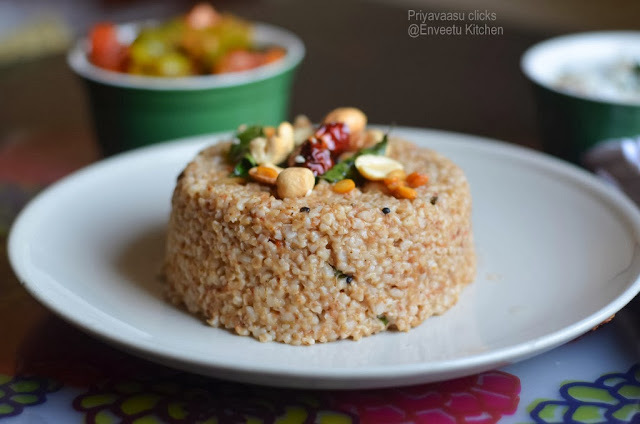 Serve warm with Rice or as a Side to Idly/Dosa. Last 2 weeks has been terrible. 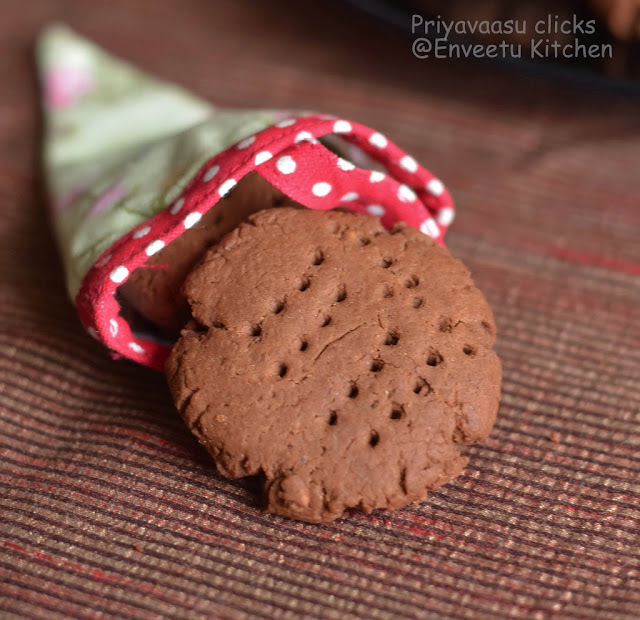 First kuttu was down with Viral fever, it went as high as 103/104 sometimes, Nights were even more worse!! It took 5 days for the fever to come down. I was just happy and relieved to see him rolling back to normal. But, guess what, nature thought otherwise. Bala got sick this week, same again, 103 fever, rushing to the bath tub, poor kiddo couldn't take that hot and cold at the same time. Even after 5 days the fever didn't come down, so we did a blood test and found out mycoplasma infection and started with anti-biotics from yesterday!! Life was horrible for the past 15 days, when kids are sick, you automatically become sick!!! Didn't feel like cooking, eating, but what to do, there is one more kid to look after so managed with Dal and rice most of the days. Dal, Rice Jindabad!!!!! After 2 weeks of dal and rice, made something spicy and tangy yesterday. Tangy Lapsi Puliyodharai and some Potato Raita, will post the puliyodharai next week, now here is the simple potato raita recipe. Wash and peel the potatoes, cut them into cubes. Take them in a /microwave safe bowl, add water just enough to immerse the potatoes. Cook @ Microwave high for 7 minutes. Let it sit for 2 minutes in the oven. Take it out, drain and keep aside until use. If cooking on stove-top, let it boil for 5 minutes, take it off the stove, cover and keep for 10 minutes. Drain and keep aside until use. The potatoes must be fork-tender not mushy. Heat oil given under tempering in a kadai, splutter mustard seeds, add cumin, curry leaves, turmeric red chilies and saute for a minute or two. Next add drained potatoes, add salt, and saute until the spices are well blended with the potato. It might take around 5-8 minutes. Take it off the stove, let it cool completely. Take Curd/yogurt in a bowl, add salt to it and whisk well. Add the cooled potates to this and mix well. 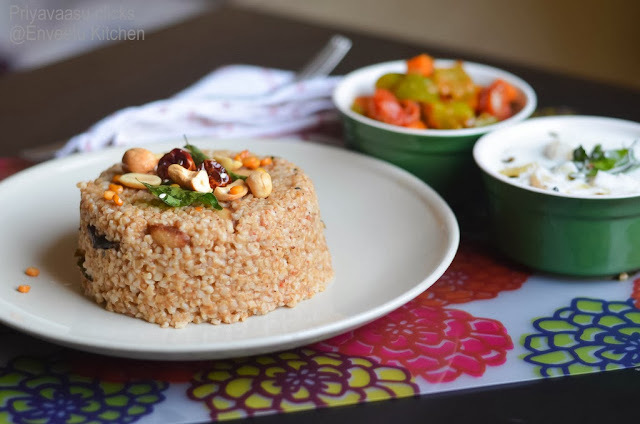 Serve as a side to Mixed Rice or Roti's. The name of salad, many would run a mile, trust me i too was one among them. But, then i later learned and still learning new ways to experiment with them, so i m enjoying salads these days. This chickpea salad is one, which i make often, for the obvious reason, it is so damn easy to make. Just mix and serve. Chickpeas are rich in protein and fiber and also has a low glycemic index, that helps you to feel full for a longer time, so curbing cravings/hunger pangs, this helps a lot during weight-loss. If using dried chickpeas, soak overnight, drain water completely. Add 1.5 cups fresh water and pressure cook with salt until soft, drain excess water completely and use for the salad. If using canned chickpeas, drain the can-water completely, wash the chickpeas under running water to wash off all the salt . Drain and use for the salad. Once the chickpeas are ready, take it a wide bowl. Add chopped cucumber, chopped onion, add salt, pepper, crushed mint leaves, toss well. Add lemon juice just before serving. Walnuts can be added for an extra crunch. If packing of lunch, pack the seasoning separately and add just before having the salad.